So, less than a week to go….have you got all the presents? No? Me neither! Although I’m baking quite a few of mine so that’s my excuse! Today I’m sharing something decidedly NOT Christmassy but I think, perhaps, that’s a good thing. Maybe you need a break from the standard Christmas flavours, However, more than anything these are really quick and easy so you can whip them up in no time and the kids can help too which might help keep them occupied during the holidays. I’m going to admit something here. 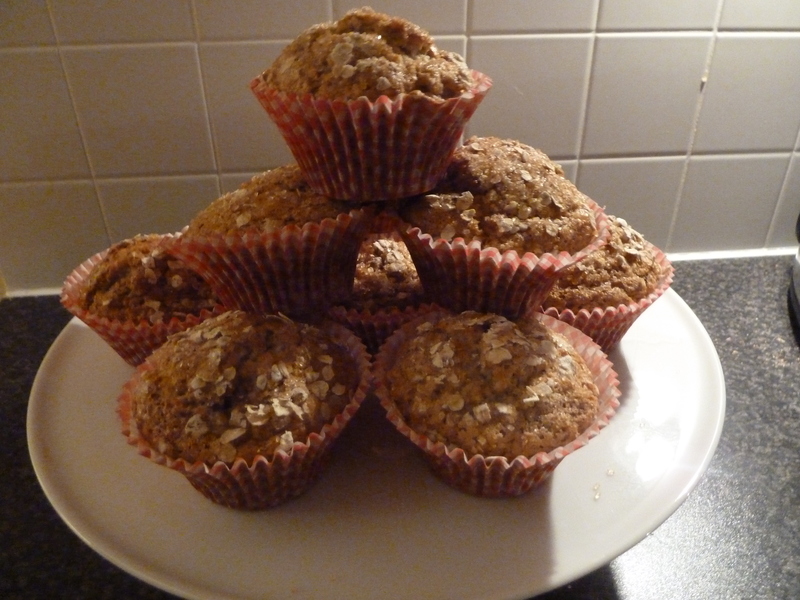 I don’t actually like banana muffins, or bananas that much really! I HAVE tried these though and I actually enjoyed them. So I’d say that’s pretty good and they are a hit with everyone else and that’s what matters to me! 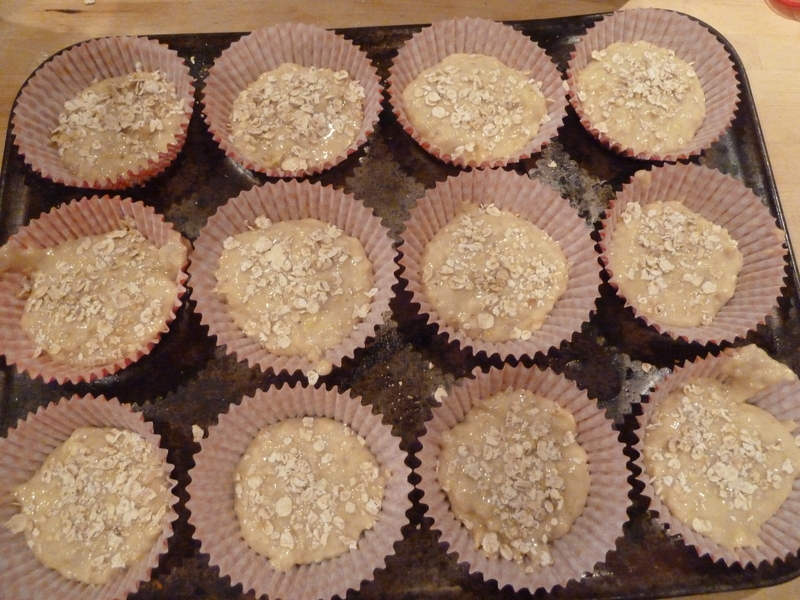 These could be could for a little breakfast treat or a more healthy (than a cupcake) snack during the day. I think they are great for kids, especially as they are easy enough for them to help with. 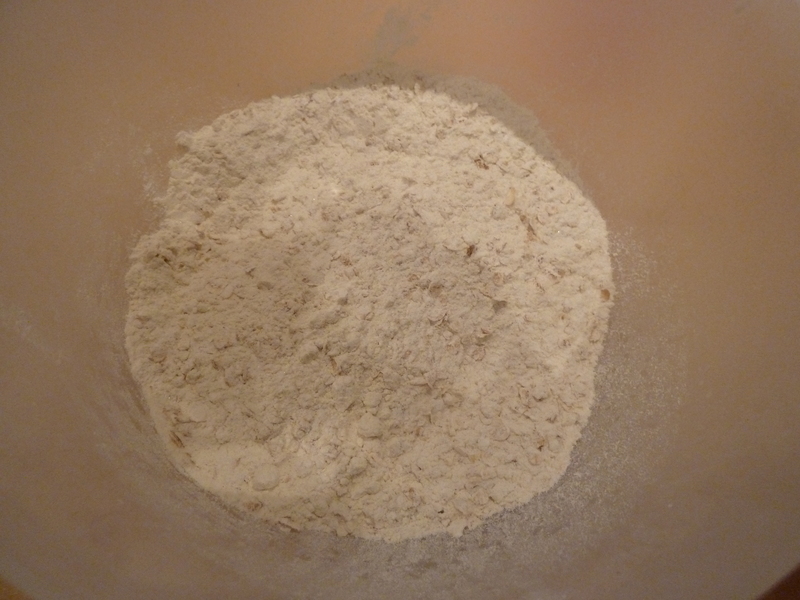 Measure all the dry ingredients into one bowl and mix. 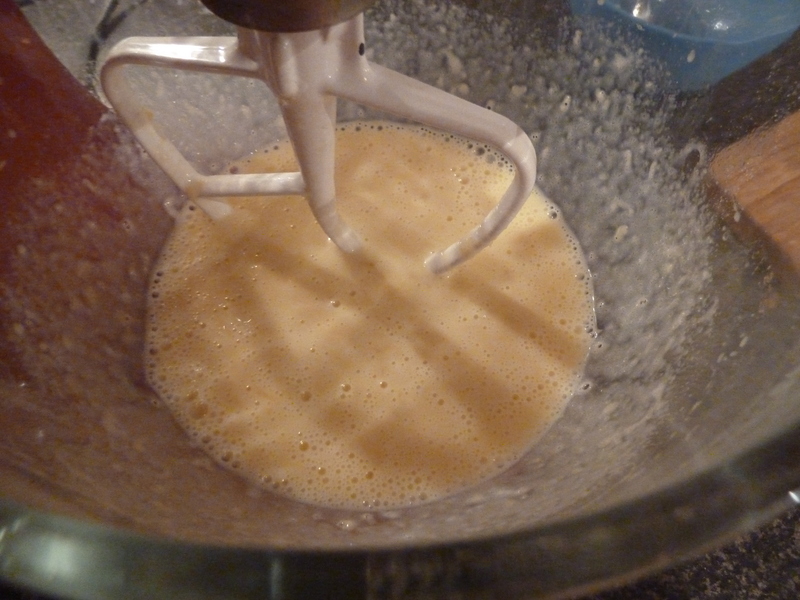 Measure the milk, oil, vanilla extract and the beaten egg into another bowl and whisk together lightly until combined. 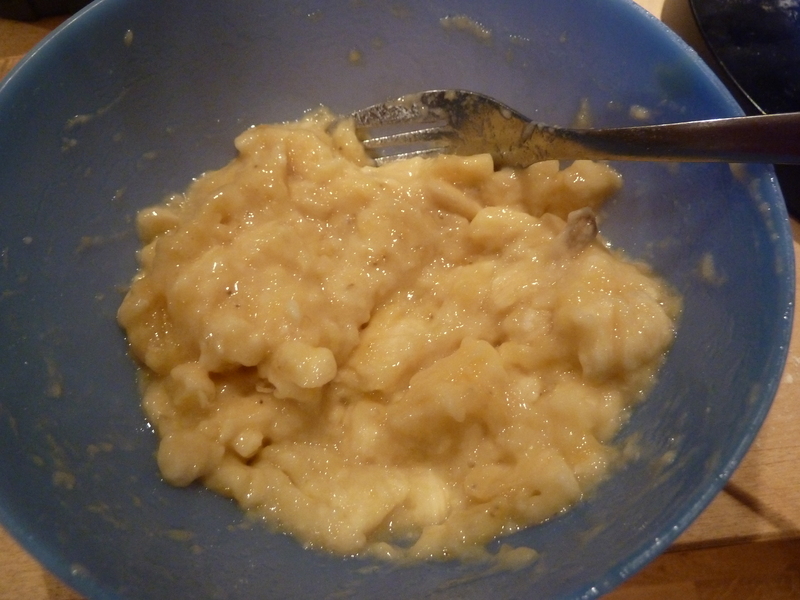 Add the banana to the wet mixture and beat until all mixed together well. 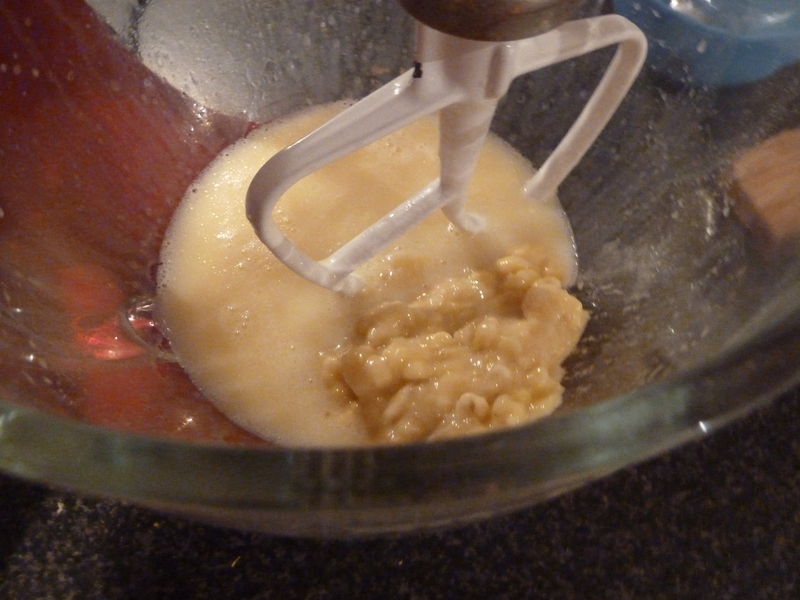 Then all you have to do is add the dry ingredients into the wet mixture and mix in until JUST combined. 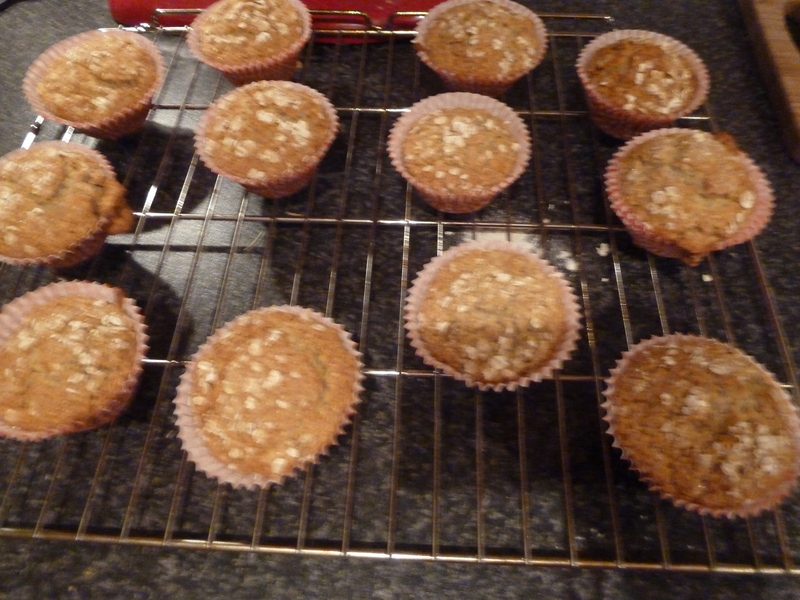 Make sure you don’t over-mix or you can end up with stodgy muffins! 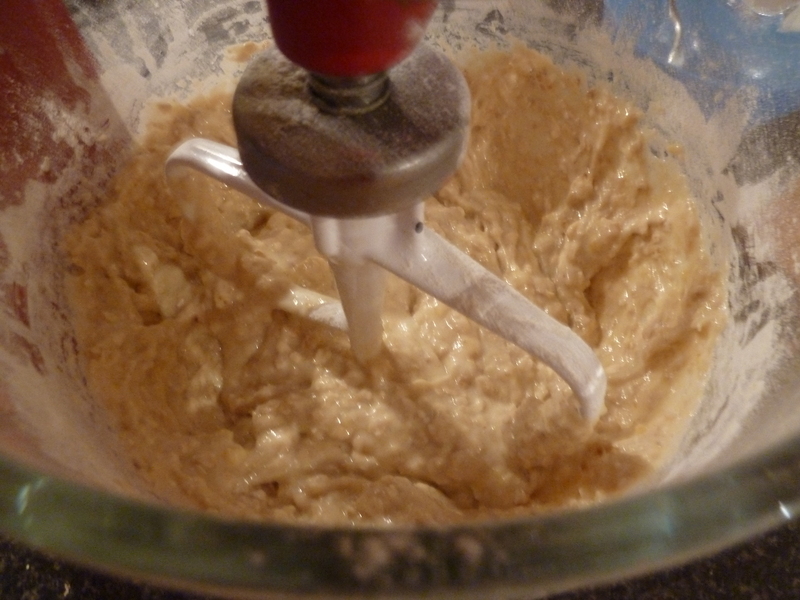 Spoon the mix equally into muffin cases. 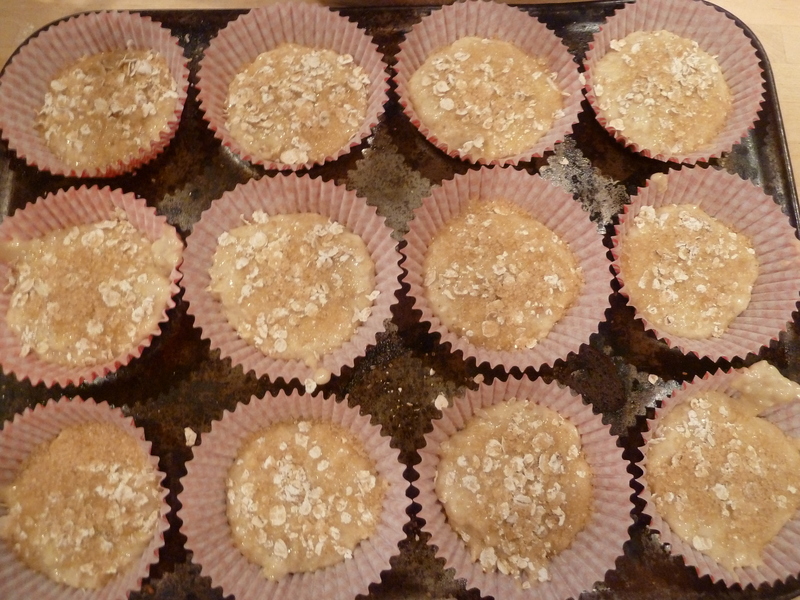 Drop a few oats on top of each uncooked muffin and then sprinkle with the Demerara sugar – this created a nice crunchy and chewy topping…YUM! 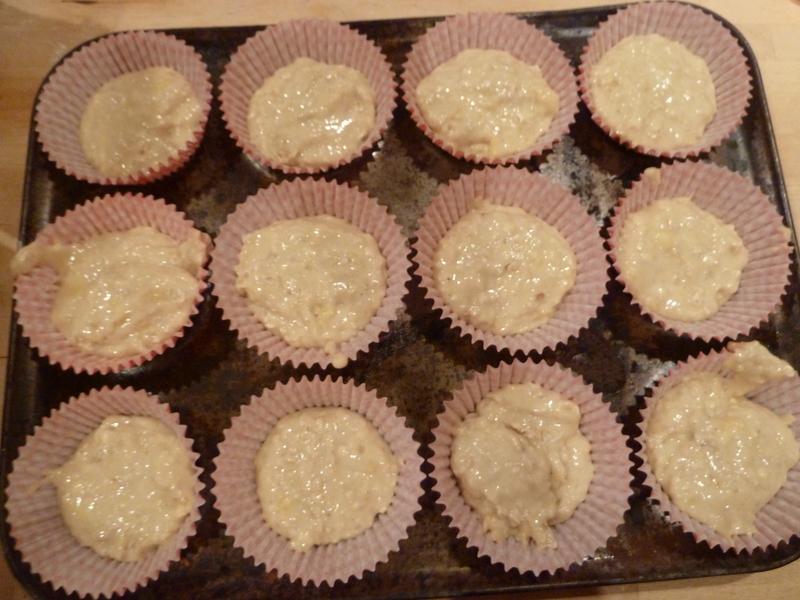 Pop them in the oven at 180C for about twenty minutes. They are done when they are golden on top and when pressed, they spring back. Be careful when you do this test though because the sugar on top gets pretty hot and isn’t pleasant when it sticks to your finger! When they are done just leave them to cool on a wire rack and that’s it. Simple wasn’t it? 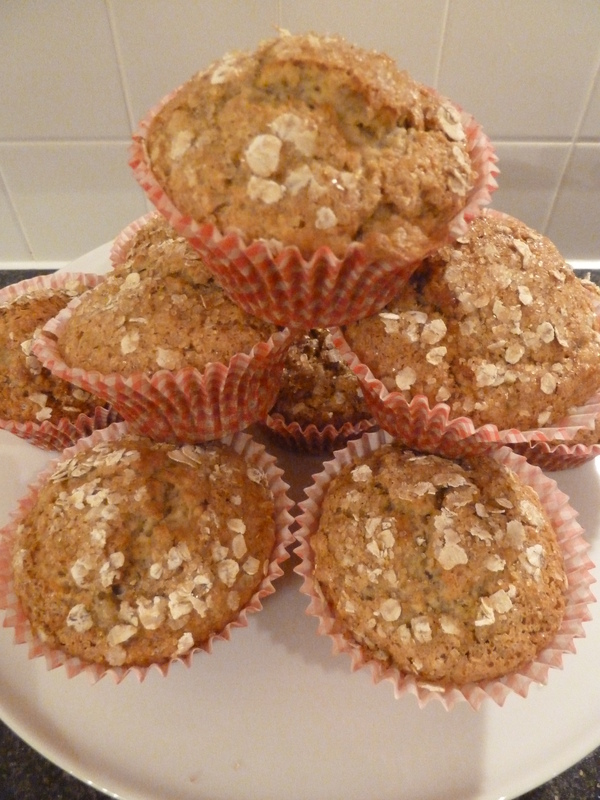 They may not be the prettiest of bakes but they are wholesome and easy to make. I hope these feature at some point over your holiday family fun, even if it’s something to occupy the kids for a bit!! Let me know if you try them. I’m also compiling a list of Christmas baking tips from different people for a post later this week, just in time for a little pre-Christmas baking. So please let me know your top tips if you’d like it to be featured!